Well, I didn’t think this would happen, but now it has. I am now rooting for Peyton Manning this week. It took a while, but the man’s sheer persistence and grit has paid off for him and, although I might be accused of being a fair-weather fan, I do want now to jump on his bandwagon this week. What is it about rooting for an old horse like Peyton Manning that has such a pleasant feeling of nostalgia and comfort to it? 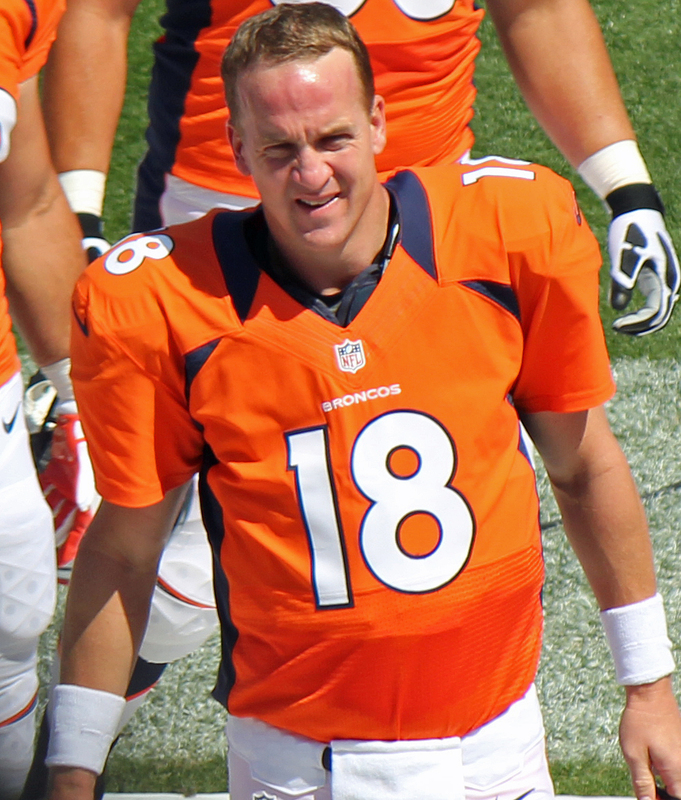 Part of it is that Manning seems to have underachieved somewhat at the game’s highest level. To be sure, Manning is one of the greatest quarterbacks ever to have played the game. Perhaps he is in fact the greatest. But at the same time Manning only has one Super Bowl victory to his credit, in two tries. So part of the fun of rooting for Manning is the feeling that he deserves to succeed at the highest level because he’s done so much in the trenches for so many years. Manning has had an incredible year this year – perhaps the greatest year by a quarterback, ever – and it certainly would be poetic for him to win it all with the Broncos now. Part of what makes it fun to root for Manning this week is that he works so incredibly hard. Undoubtedly, Manning has enormous physical gifts. But he has also done the most to maximize his gifts over the years. Along the way he seems to have done it the right way. I remember when he was a quarterback for Tennessee. He had an incredible junior year and had an opportunity to leave early for the NFL. But Manning decided to stay at Tennessee because of his loyalty to his school and also because he wanted another year to mature. He and his father, Archie Manning, took out a multi-million dollar insurance policy from Lloyd’s of London on his arm. So they didn’t want to take any chances. Since that time Manning has delivered and worked his way to the top, again and again. Sure, it’s a lot of fun to root for a winner. But it is even more fun in my book to root for a hard worker, and Manning is certainly that. I think that part of me wants, in rooting for Peyton Manning, to get back at Tom Brady. Recently they did a poll of 8 NFL GMs to see which quarterback they would rather have, Manning or Brady. Want to know the result? It was 7-1 in favor of Brady. The GMs want a winner and in their mind Brady is the man who can win it all. But I’ve never liked Brady quite as much. When I think about it, I think that it is mostly his off-field persona. Brady tries as best he can to live a glamorous off-field life. So he’s kind of a showboat off the field, more so than Manning. I see Manning as a quieter character who is just as committed to on-field excellence. If I remember correctly, Brady has won four Super Bowls. A Manning win this week would give him two and an opportunity to even the odds somewhat. And of course I want Manning to prove Indianapolis wrong. A couple of years ago the Colts were facing a huge franchise dilemma. They had to choose between two players: Manning and the first pick of the draft, Andrew Luck. To complicate matters, Manning was coming off of a disastrous season in which he had suffered from a mysterious and dangerous neck injury. Manning had not really played in a year. So his future status as a quarterback was very much in doubt. The Colts chose Luck as their franchise quarterback of the future. Manning was left dangling in the wind, and he ended up in Denver. I really feel strongly the pull of rooting for a player who works hard to prove himself after a setback when the franchise lets him go. And Manning has certainly fought his way back from injury. So I’ll be pulling for him this week, in the hope that he’ll be able to fight his way all the way back to a Super Bowl victory. Peyton Manning might not be the greatest NFL player of all time – Jerry Rice probably is. But Manning is definitely up there and I think a win this week would cement his status at the top. My little bit of fandom this week won’t make much of a difference in the outcome of the game, but it sure is fun to root for Manning along the way.